(March 2007 - March 2009) AquaTRAIN: AquaTRAIN is a Marie Curie Research Training Network established specifically to develop a better understanding of the behaviour and environmental impact, including human health, of geogenic elements, in groundwater and soils in the European Union. 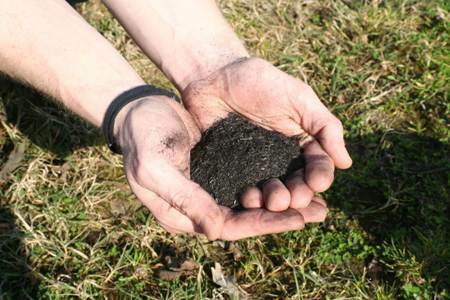 (Nov 2010) Biochar: Biochar is char made from biomass, e.g. crop residues, green waste, wood chippings, chicken manure, etc. Biochar is listed here as a separate Soil project on account of its geoengineering status and its cross-cutting nature, i.e. it is relevant to all the Soil Threats. The JRC plays two main roles in the biochar issue: a) independent and objective reviewer of relevant scientific evidence b) active communicator and facilitator in the international scientific discourse . (Apr 2013) Climate Change Regional Indicators of Change and Extremes: Indicators of climate change and extremes from regional models coming from 3 sources: PRUDENCE project of the Danish Meteorological Institute, consortial simulation of the Climate Limited-area Modelling (CLM) Community, 12 runs of bias-corrected data from the ENSEMBLES project. 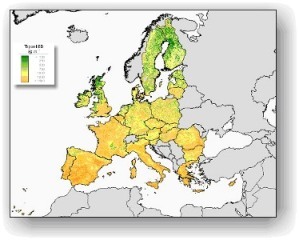 (Nov 2007) Digital Soil Mapping (DSM): is the main exploratory research thematic of the SOIL Action. Digital Soil Mapping is the creation and the population of a geographically referenced soil databases generated at a given resolution by using field and laboratory observation methods coupled with environmental data through quantitative relationships. DanubeSIS: "Soil Information system on Danube River Basin" . In support of the Flood Risk Assessment Project, implemented by the Land Management Unit of the JRC, a collection of soil data from the countries that intersect the Danube river basin is in preparation. 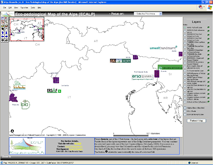 ECALP (2004-2005): "Eco- pedological Map for the Alpine Territory". In the context of Alpine Soil Information System, the JRC has set up a collaboration with the ECALP project. The main objective of ECALP is to create a useful network among regional and national institutions -data owners and managers of soil data in the alpine region and to exchange knowledge and experience among different regions and different countries, concerning the exchange of soil data in grid-based format. In technical terms the ECALP project aims at the implementation of the Alpine Ecopedological Information System that can provide information to operational end users, land managers that operate at different levels and soil scientists together with experts of other disciplines. (Apr 2009) ENVASSO: succeeded in reviewing existing soil inventories, monitoring programmes, soil indicators and criteria that could serve as a base for a soil monitoring system for Europe. Procedures and protocols appropriate for inclusion in a European soil monitoring system were defined and fully documented and 22 of these procedures were evaluated in 28 Pilot Areas. In conclusion, an outline European Soil Monitoring System, comprising a network of geo-referenced sites at which a qualified sampling process is or could be conducted, is presented. MyWater: (Merging Hydrologic models and EO data for reliable information on Water) project aims at developing a water management system integrating satellite data, models and in situ data in order to improve knowledge and create the forecasting capabilities necessary to catchment managers, and at the same time optimizing the ratio cost/benefit of water resources monitoring. SafeLand: Living with landslide risk in Europe: Assessment, effects of global change and risk management strategies. The aim of SafeLand is to provide a harmonised framework and methodology for landslide risk assessment and management in Europe's regions and to evaluate landslide risk pattern changes due to global change. (Jan 2009) Landform Classification: Relief analysis is a tool to analyse a landscape based on a Digital Elevation Model (DEM). The landform classification following Meybeck et al. (2001) presents relief classes, which are calculated based on the relief roughness. The landform classification following Iwahashi and Pike ( 2007) present relief classes which are classified using an unsupervised nested-means algorithms and a three part geometric signature. (Mar 2008) Ramsoil: RAMSOIL: Risk Assessment Methodologies for SOIL threats. (Jan 2008) New Soil Information for the MARS Crop Yield Forecasting System. 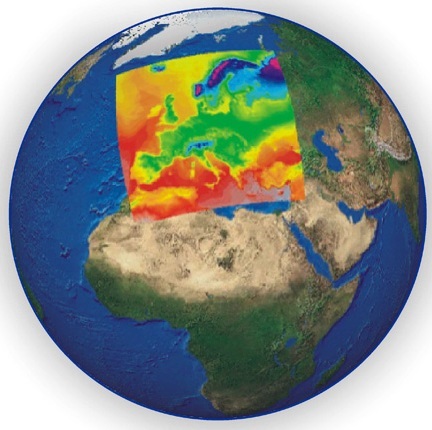 In 2005, the JRC commissioned a study in order to develop a framework for the incorporation of version 4.0 of the Soil Geographical Database of Europe (SGDBE) in the Crop Growth Monitoring System (CGMS) which is a part of the Mars Crop Yield Forecasting System (MCYFS). This study resulted in an updated European Soil Database which is still under quality control and therefore not ready for release to the public. SOTER: "SOil TERrain Database": Model Techniques and Description - Status, Problems and use of SOTER. SRTM Mirror: SRTM data have been processed by the International Centre for Tropical Agriculture (CIAT) to create a seamless void filled Digital Elevation Model, which is especially important for Digital Soil Mapping, Hydrology and other applications. Data are a mirror from CIAT distribution servers.